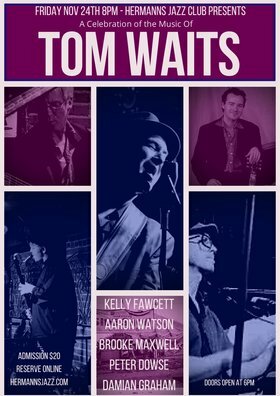 The 4th Tom Waits Tribute show at Hermann's featuring Kelly Fawcett on Guitar and Vocals, Brooke Maxwell on Piano, Pump Organ and Vocals, Aaron Watson on Guitar, Accordian, The Musical Saw ,Harmonica and Vocals, Damian Graham on Drums. 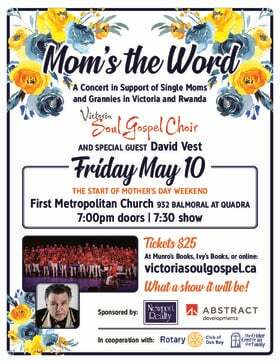 Percussion and Vocals and Peter Dowse will be joining us on Bass. Each member of the band sings their favourite Tom Waits tunes and we work hard to capture the theatrical flair and true intention of each song, whether it be a melancholy ballad, a be bop beat poet stream of consciousness or a raw back porch gospel infused blues.